The Miami Dolphins hit the road to play the Jacksonville Jaguars on Sunday at EverBank Field. The opening line for this matchup has the Dolphins as 6 point favorites and the over/under was set at 41.5. The Jaguars started the 2015 season by losing to the Carolina Panthers 20-9. 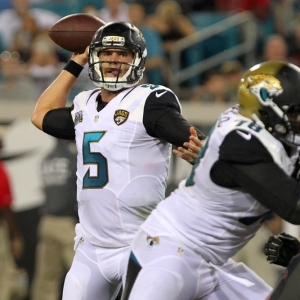 Blake Bortles had 183 yards and a touchdown for Jacksonville. He was 22 of 40 but threw 2 interceptions and was sacked 5 times. Allen Hurns had 5 receptions for 60 yards while rookie Rashad Greene had 7 catches for 28 yards and a touchdown. Rookie T.J. Yeldon had 12 carries for 51 yards on the ground in his NFL debut. The Jaguars had 18 first downs and 265 yards of total offense. On special teams they had 40 kick return yards but only 9 punt return yards. They also finished with 3 penalties for 25 yards on the game. The Dolphins won their first game against the Washington Redskins 17-10. Ryan Tannehill threw for 226 yards and a touchdown in Week 1. He was 22 of 34 and was sacked 3 times. Jordan Cameron had 4 receptions for 73 yards while Rishard Matthews had 4 catches for 34 yards and a touchdown. Lamar Miller led Miami on the ground, rushing for 53 yards on 13 carries. The Dolphins finished the contest with 19 first downs but only 256 yards of total offense. They were penalized 6 times for 39 yards on the day as well. On special teams, Miami had 74 punt return yards and 54 kick return yards, which helped their overall field position quite a bit. The Jaguars are 5-0-1 ATS in their last 6 games after scoring less than 15 points in their previous game, they are 3-1-1 ATS in their last 5 games following an ATS loss, and they are 5-2-1 ATS in their last 8 games following a S.U. loss. Jacksonville is 18-38-1 ATS in their last 57 home games, they are 11-24-2 ATS vs. a team with a winning record, and they are 8-22 ATS in their last 30 games in September. The under is 4-1 in the Jaguars last 5 games overall, is 8-2 in their last 10 vs. the AFC, and is 6-2 in their last 8 home games. The under is also 8-3 in the Jaguars last 11 games in Week 2, is 5-2 in their last 7 games after scoring less than 15 points in their previous game, and is 7-3 in their last 10 games following a double-digit loss at home. The Dolphins are 7-3 ATS in their last 10 games in September, they are 3-7 ATS in their last 10 games in Week 2, and they are 2-6 ATS vs. a team with a losing record. Miami is 1-5 ATS in their last 6 games overall and they are 1-6 ATS in their last 7 games after accumulating less than 90 yards rushing in their previous game. The under is 4-1 in the Dolphins last 5 games following an ATS win, is 4-1 in their last 5 road games vs. a team with a losing home record, and is 15-5-1 in their last 21 games after allowing less than 15 points in their previous game. The under is also 11-4-1 in the Dolphins last 16 games after allowing more than 150 yards rushing in their previous game, is 12-5 in their last 17 games in Week 2, and is 22-10-1 in their last 33 vs. the AFC. In head to head matchups, the under is 5-0 in the last 5 meetings and the favorite is 5-1-1 ATS in their last 7 meetings. The Dolphins are 4-1 ATS in their last 5 meetings and are 3-1-1 ATS in their last 5 meetings in Jacksonville. The road team is 4-1 ATS in their last 5 meetings.